No collection would be complete with out a few pictures that show off the collection. We are very excited to announce the creation of a BOM designed by Denice Lipscomb from Common Threads Quilting. Check out the Web Sampler and find out more information about the program. 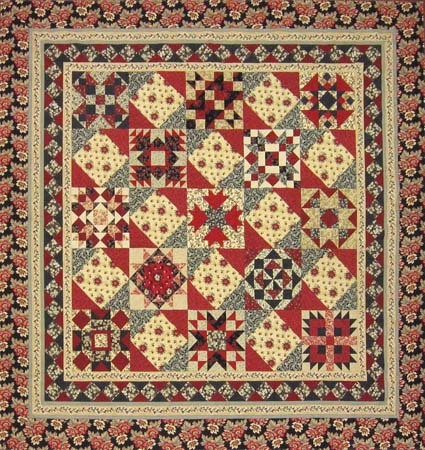 You can buy the finishing kit for the quilt shown below when you visit the Common Threads website. 1. Karen Bennett of Nellie’s Needles created a magnificent quilt for us to display at the International Quilt Market in May. 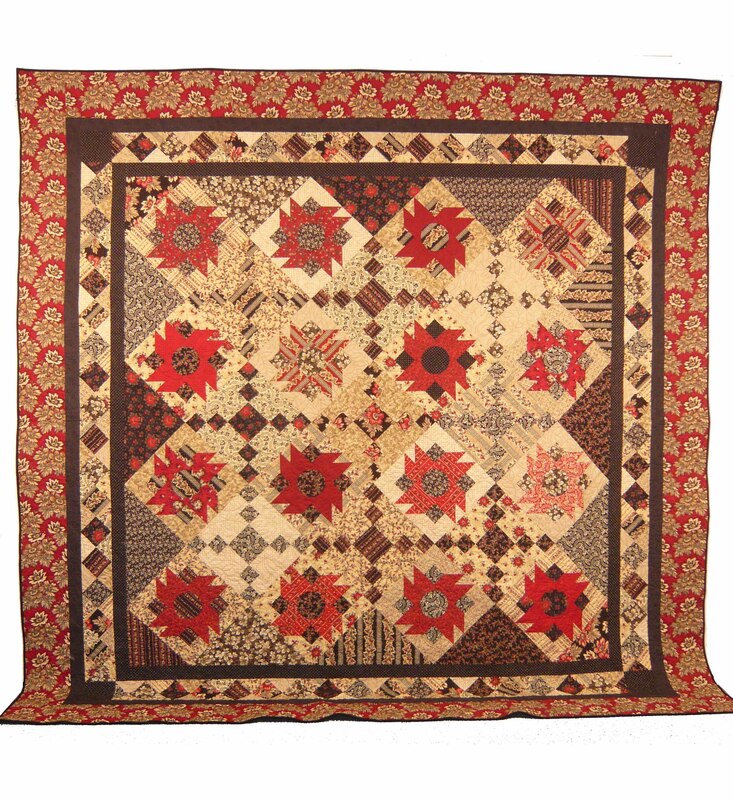 She has created a pattern called Desert Flowers below that you just have to add to your collection. 2. How often do we get a chance to wear our favorite fabrics that we are so passionate about? 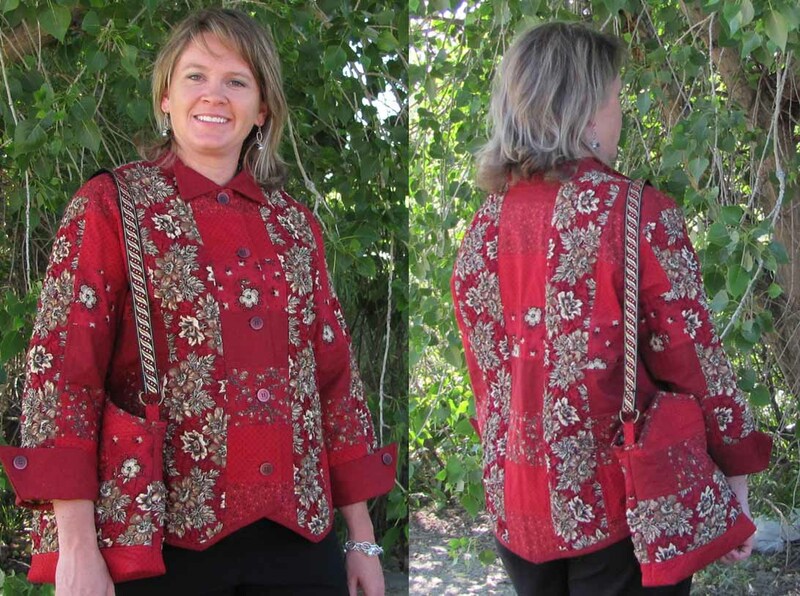 Here Morning Glory Designs – created a pattern for a super jacket and shoulder bag. We have to thank our own Sharon Boysen for finding this pattern for us and sending the beautiful pictures. Hopefully these items have all inspired you to want to run out and make your own Sophia masterpiece!